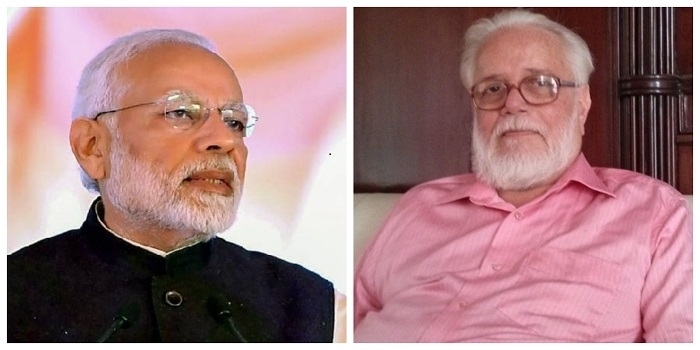 Thrissur, Jan 28: Heaping praises on award-winning ISRO scientist S Nambi Narayanan, Prime Minister Narendra Modi on Sunday said that his government values every citizen who is working relentlessly for the betterment of India. Recognizing the contribution of the former ISRO scientist, on the eve of 70th Republic Day, Nambi Narayanan was accorded with the prestigious Padma Bhushan award. Responding to the announcement Narayanan thanked the central government for applauding his work. Taking a swipe at Congress and LDF leaders, Modi stated that Nambi Narayanan was a victim of ugly politics. He further added that false charges against the maverick researcher has exposed the cruel mentality of Congress. In 1994, Nambi Narayanan under the charges of spaying was booked by the Kerala police. Last year, the Supreme Court had trashed the charges and ordered probe against the Kerala police officers for allegedly torturing the ISRO scientist. The Apex Court also declared Rs. 50 lakh compensation to Narayanan. The award-winning scientist was the head of the cryogenics division when he was arrested over the charges of spying and leaking key strategic documents. Now, Multi-lingual actor Ranganathan Madhavan is working of the film 'Rocketry: The Nambi Effect' which is based on the life of Nambi Narayanan. The ace actor is playing the titular role and also directing the period drama.